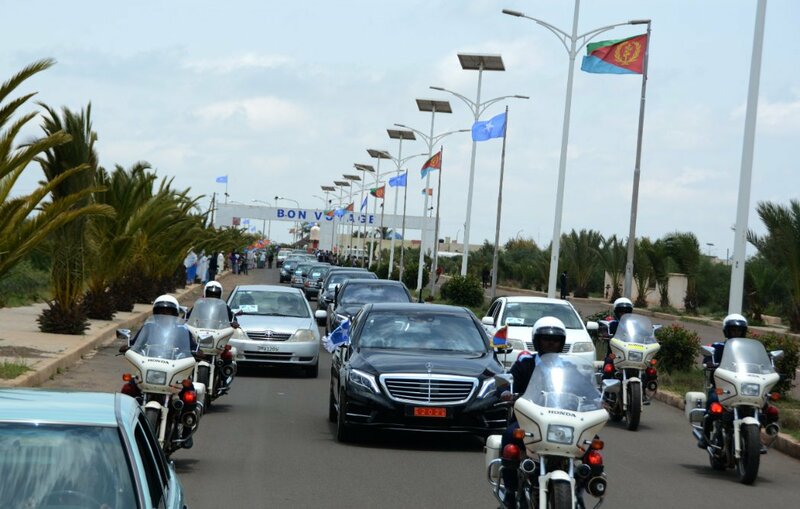 Asmara, 28 July 2018- The President of the Republic of Somalia arrived in Asmara at mid-day of today, 28 July, for three-day official visit to Eritrea at an invitation of President Isaias Afwerki. 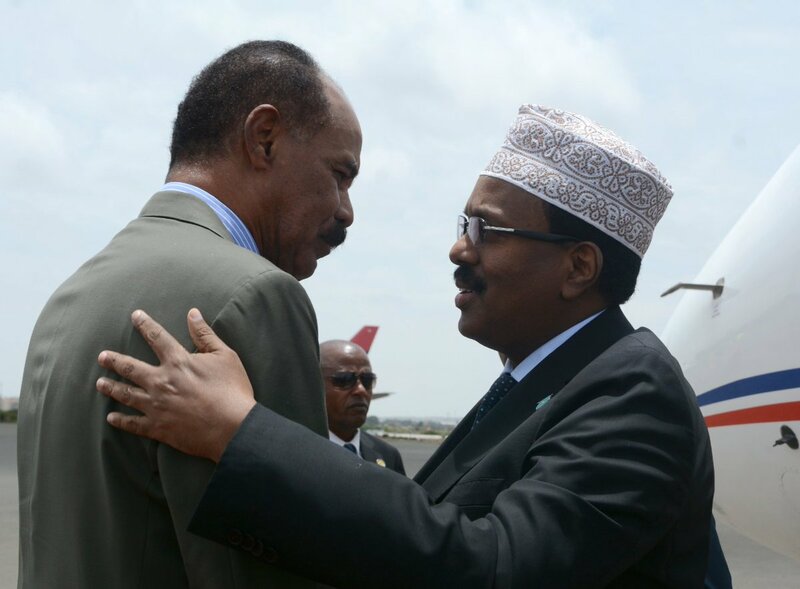 Upon arrival at the Asmara International Airport, President Mohammed Abdullahi was accorded warm welcome by President Isaias Afwerki and senior Government and PFDJ officials. 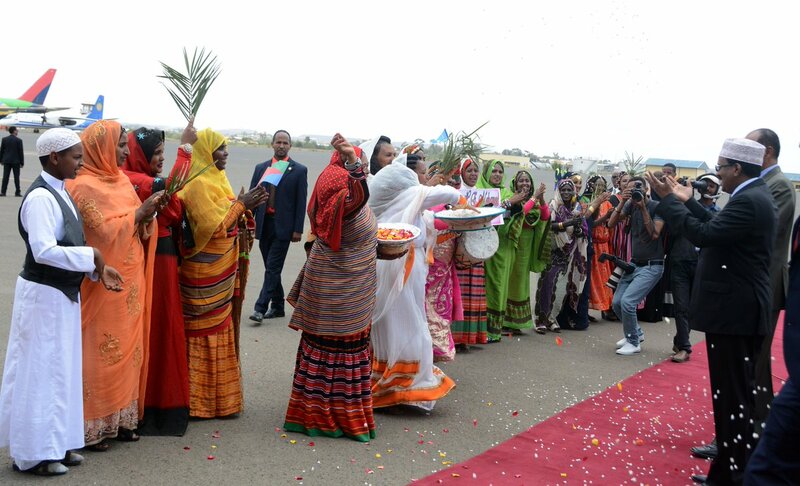 Hundreds of thousands of Asmara residents also turned to the streets of the city to greet President Mohammed Abdullahi and his delegation. 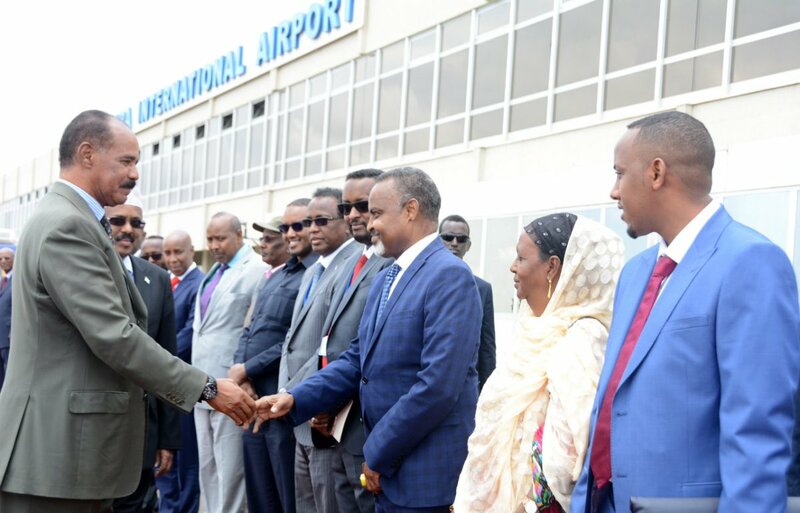 The Somali President is accompanied by the Ministers of Information, Culture and Tourism, Transportation, Construction as well as State Minister at the Somali Ministry of Foreign Affairs. 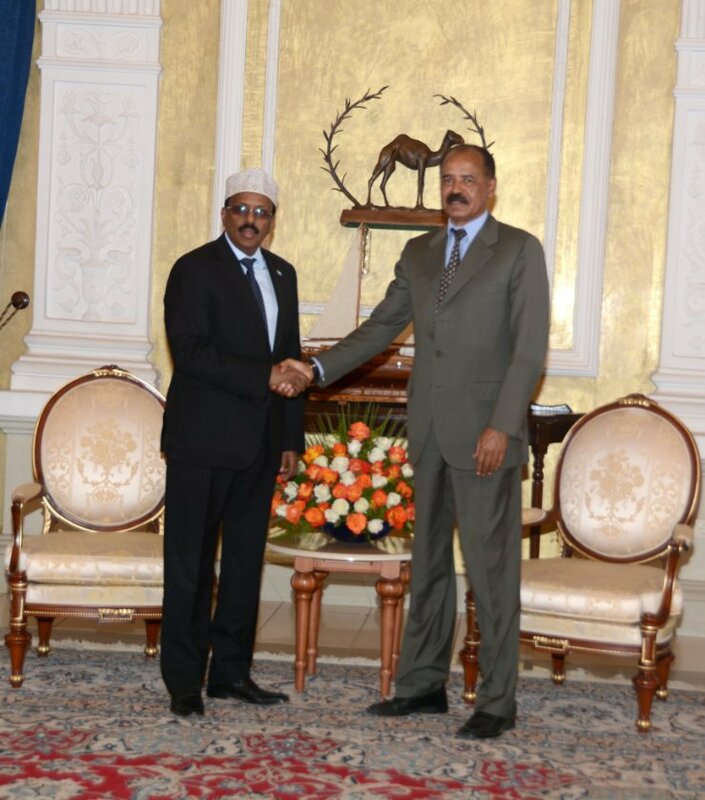 During his stay in Asmara, President Mohammed Abdullahi will discuss with President Isaias Afwerki on the development of bilateral relations between the two countries and on regional issues of interest to both countries. 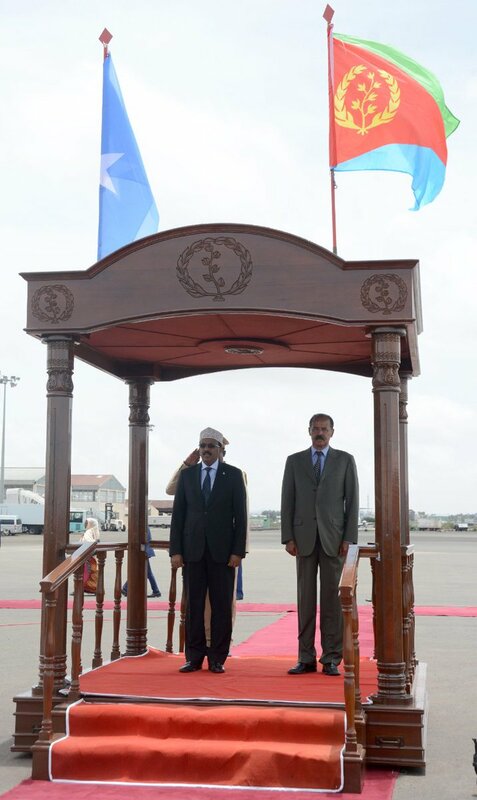 President Mohammed Abdullahi will also visit various developmental sites.